The rapper, who was found dead in his home after committing suicide is expected to be laid to rest on Saturday. 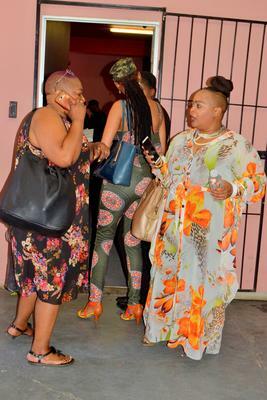 HHP’s memorial service in Newtown this week turned out to be a fashion parade of sorts as music stars and the who’s who of the city turned out in all kinds of garb. The larger than life musician was found dead at his Randpark Ridge home on Wednesday last week by his helper. Unconfirmed reports suggested that the motswako originator may have taken his own life given his much-publicised struggle with depression. Jabulani “Jabba” Tsambo‚ who was popularly known as HHP aka Hip Hop Pantsula, died at the age of 38. On Tuesday, music industry stars came out in numbers remember one of their own. It was an assortment of cultural dress and modern trends. Something of a fashionista himself, musician Stone of the Bongo Maffin fame who was the host of the memorial service said of HHP, “he was a fashionable man that made the Tswana language and culture fashionable”. Some of the “friends and family” in attendance were wearing sneakers, baggy pants, floral dresses and others were bold enough to wear revealing clothes – something generally frowned upon at funerals. “Jabba’s best competitor was himself,” lamented his uncle, Fezile Govern. Lerato Sengati, who is fighting to be recognised as the deceased’s wife, wore a black printed T-shirt written: “I am Winnie Mandela” and a floral skirt rounded off with striking pink sneakers. The deceased’s family have publicly disowned Sengati and denied that she was HHP’s wife. Some of the mourners wore black outfits complimented with, among the many colours, yellow and white accessories. The rapper is expected to be laid to rest on Saturday.